This enchanting classic of children’s literature is reimagined in brilliant musical style by composer Lucy Simon and Pulitzer Prize-winning playwright Marsha Norman. Orphaned in Colonial India, 11 year-old Mary Lennox journeys to England to live with her mysterious uncles, Archibald and Neville Craven. The Craven mansion’s many wonders include a magic garden which beckons to Mary with memories and melodies, and the “Dreamers”, spirits from Mary’s past who guide her through her new life. The Secret Garden is a magical and compelling tale of forgiveness, renewal, and love. Admission is $5 for children. 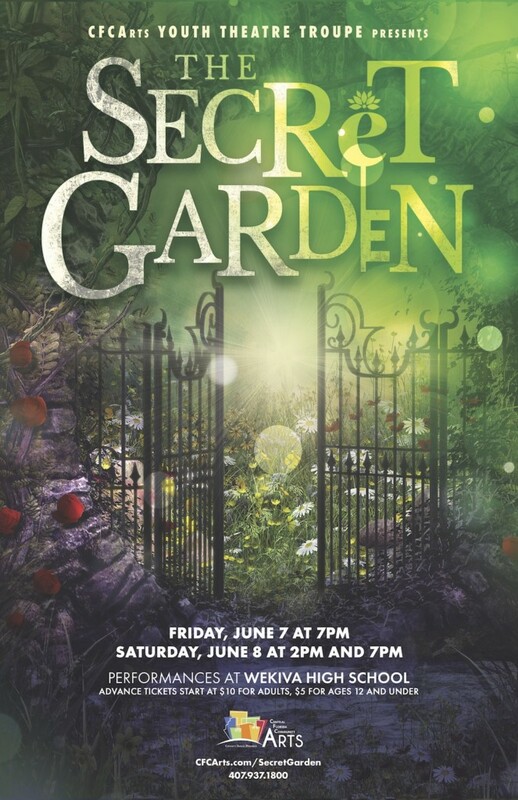 Children must be accompanied by a parent or guardian (Parents and guardians are not required to purchase a ticket.0 Tickets to see The Secret Garden are not included with the tea party ticket and may be purchased separately. Activity Tickets must be purchased and redeemed to participate in certain parts of this event. They will be available to purchase at the event. Tickets are $1 each, or 6 for $5. Honored guests will sip tea with their favorite characters from The Secret Garden and enjoy tea time bites like fruit, cake, cookies, and other treats. Our guests will enjoy music and dancing with our costumed cast members, and an assortment of delightful activities, including floral face painting, Secret Garden key necklace making, paper flower crafts, a Victorian photo booth with props and costume pieces, and a chance to meet and take photos with with the cast of our show. You will also have the opportunity to have a personalized Victorian silhouette of your child as a keepsake of this treasured memory. Tickets to see The Secret Garden are not included with the tea party ticket and may be purchased separately. Honored guests will sip tea with their family and friends and enjoy an afternoon tea service, including a variety of hot and iced teas, tea sandwiches and assorted pastries. Our guests will enjoy live music from our costumed cast members, featuring English art songs, Italian arias, and classical solos. Enjoy an interactive photo booth experience to take keepsake photos with your family and friends, and take home a parting gift! Guests can take part in a special silent auction with proceeds supporting the CFCArts Children and Youth Arts program. June 8, 2019 at 2 p.m. & 7 p.m.